Have you worked with a student who just does not like to write? Maybe they lack confidence, maybe they have poor fine motor skills, maybe they struggle getting their ideas down on paper, maybe they have difficulty expressing their ideas. Whatever the reason they may not enjoy writing, unfortunately it is still something they have to do. One tried and true way I have increased engagement for my struggling writers is through the use of the almighty Post-It Note! 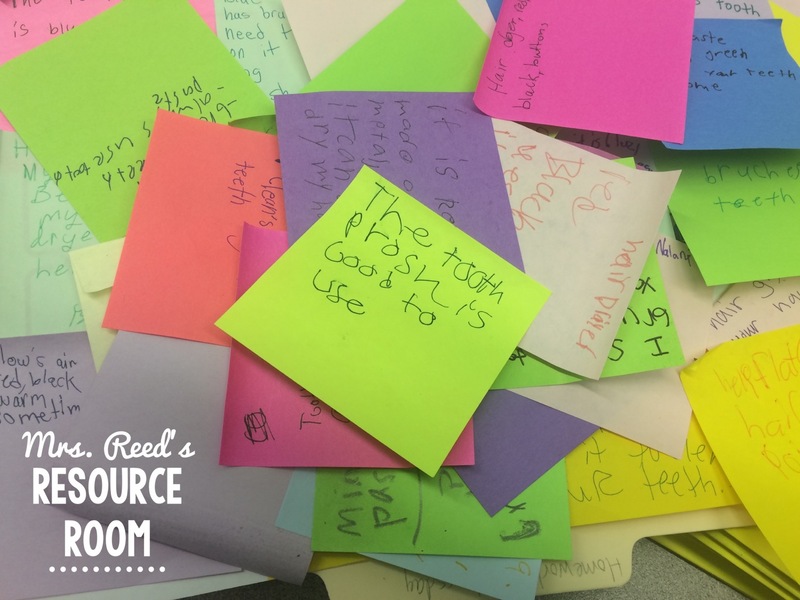 Magically, you hand a student a Post-It pad and a colored pen and their ideas start flowing! I often set challenges for how many ideas they can come up with in a given time frame. 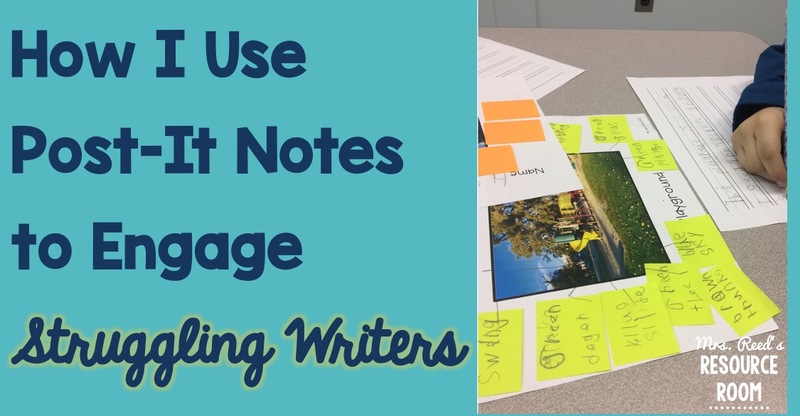 Students who usually struggle with coming up with ideas to write about are eager to fill up their Post-Its with ideas. Their written output greatly improves! Quick Writing- We also use Post-It Notes to do quick writes of a specific skill. For example, my third grade students were working on descriptive writing. We hung pictures of every day objects around the room. 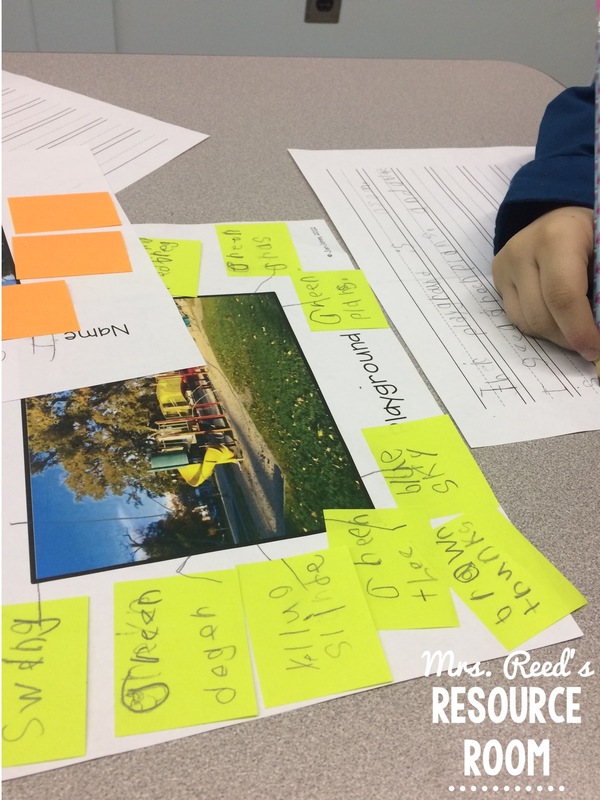 They spent 1 minute at each station generating as many descriptive phrases or sentences as they could about the pictures on their Post-It Notes. The engagement of all 30 students was incredible! The room was quiet and all students- regular ed, special ed, or ELL, were successful in the task. We had 30 minutes of uninterrupted, on task, engaged writing. It was amazing! 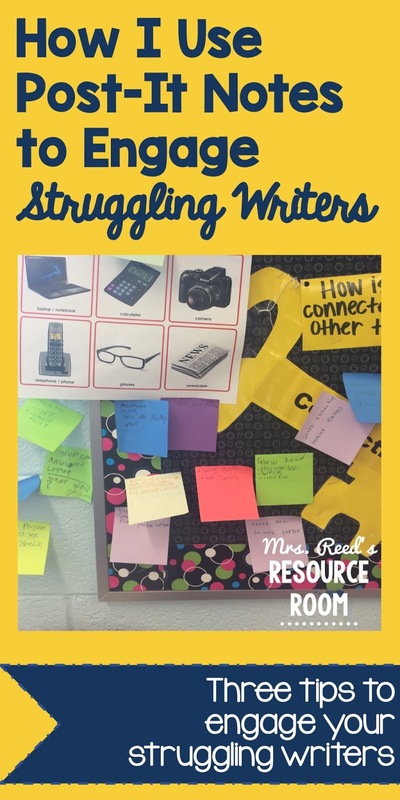 How do you engage struggling writers? Great Ideas! I need to get my hands on some more post-it notes this week now. Stop back and let me know how it goes! Thanks for the ideas. My students love to write on post it notes. This is a great idea. I especially like the idea of writing descriptive phrases about pictured objects. I am defiantly going to give this a try! 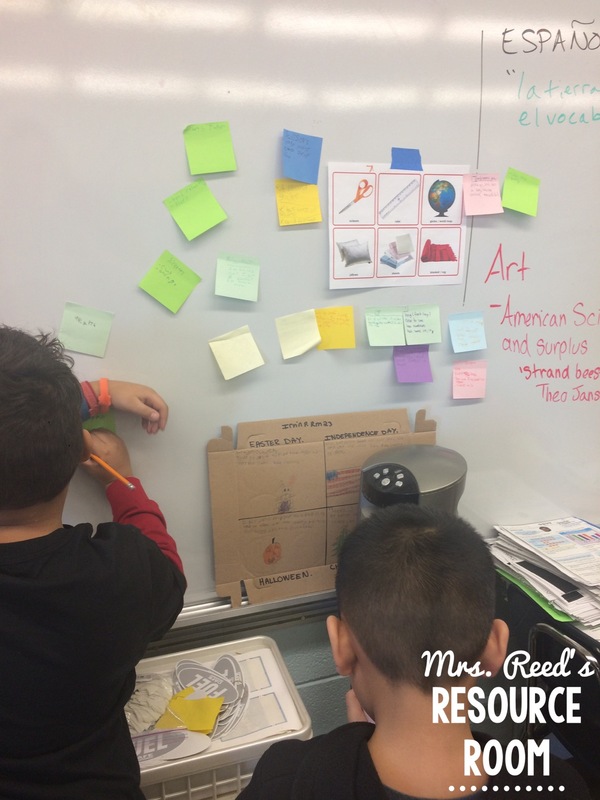 I love that after students brainstorm they can then organize their ideas by moving the post-its around. What a wonderful way to break down a task into small and manageable visual, concrete chunks! I love Post-It Notes but I never thought to use them like that! Great idea! I know several kids that I'm already thinking of doing this with.